Do you like spending time outdoors? Would you like to be a role model for kids? 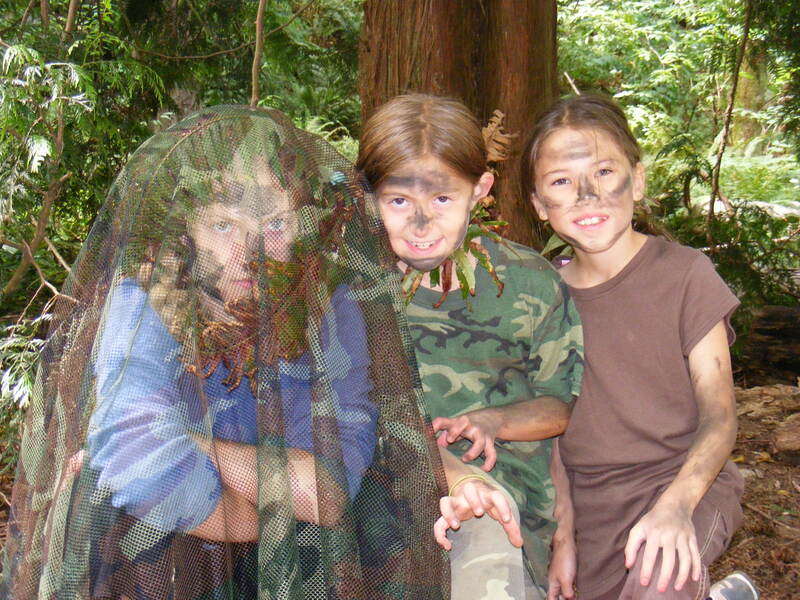 Come be a teen counselor this summer at Quiet Heart Wilderness School's summer camps! 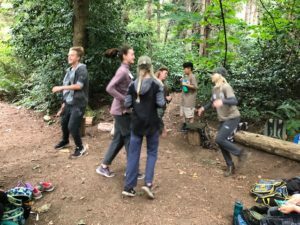 Counselors demonstrating bird language to students at Summer in the Woods. Each summer, Quiet Heart's crew of dedicated teen counselors help make memories for our students and themselves spending time in the woods. Counselors do things like running games, assisting the students in learning new skills, and preparing and cleaning up from camp each day. Those looking for more responsibility can design and implement activities for the students under the guidance of an instructor. Counselor positions are open to ages 14+. Quiet Heart will provide documentation for counselors who need volunteer hours for school. Click on this link to sign-up to be a counselor and indicate the weeks/camps for which you would like to volunteer. There are also limited Junior Counselor positions for students ages 12-13, with significant Quiet Heart experience. Please contact info@quietheart.org for more information about junior counselor positions.